When I started retiring less than 10 years ago, I would have never in my wildest dreams thought I would be competing at the National Senior Games. Yet, I just returned from that event where I competed in two race walking competitions. It is an experience I will remember the rest of my life. My unexpected path to the National Senior Games as it turns out, is a common one shared by many people I have spoken with. It began with me, as others, at our local senior center. A few years ago I discovered Park Place Adult Center here in my town Johns Creek GA and began walking with the Park Place Pacers. The men’s group was only me and Don from Cleveland and Lamond from New Jersey. We walked about 3.2 miles through Newtown Park three times a week, sharing the news of the day and stories from our lives. Then at the annual North Fulton Golden Games we were pitted against 4 or 5 other local senior centers in a day of competition which included a couple of walking races. 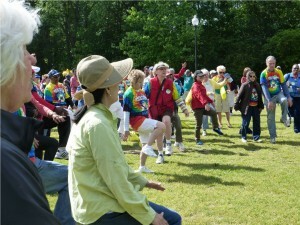 I heard about how good some of the other walkers were and we began training a little. At the North Fulton Golden Games a gentleman 10 years older than me beat me in the one half mile race by 20 yards! I was puzzled. Upon researching I found out he was race walking, a technique that makes you more efficient so you can walk faster. I learned that the upcoming 2014 state level competition called the Georgia Olympics had a competition in race walking. 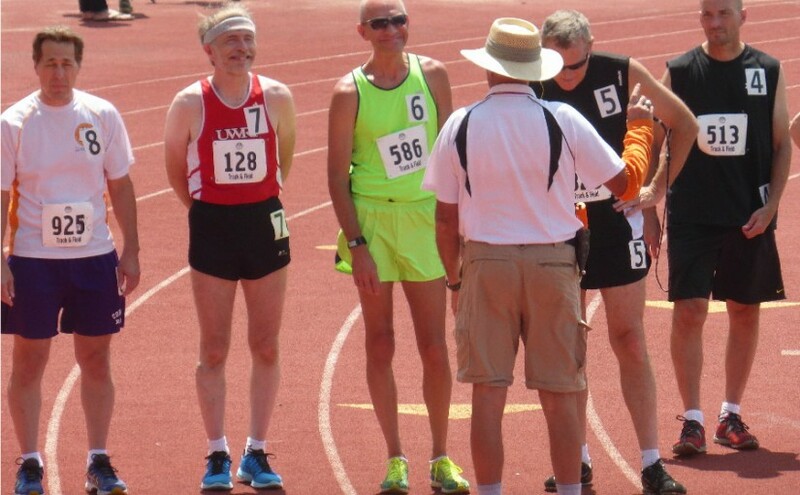 I signed up for some instructions in race walking and made the trip down to Warner Robins for the state meet last Sept where I came in 2nd in my age group for the 1500 meter race walk. That qualified me for the National Senior Games in St. Paul MN in July 2015, so I signed up for the 1500 meters and the 5K race walks and began training a couple of months ago. 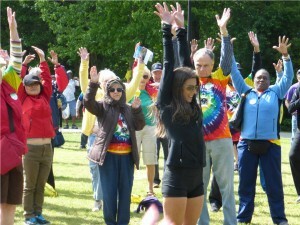 The competition at the National Senior Games is fierce with 1200 athletes coming from all over the country to compete. The heat from my 1500 meter race, for example, shows 20 men coming from 19 different states for that race, many of which have been there before. The experiences were valuable and enjoyable all along the way. Nothing like walking with new friends at your local senior center. Competition at the state level gets those juices flowing while still fun. At the National Senior Games level you are competing with the best but you don’t have to be a pro to enjoy it, if you can make it that far. Competing at any of these levels you will have the fellowship with others and enjoy their company. Everyone is happy and excited to be there. It is motivating as well to see what some people can accomplish in their 50+ lives. The training and discipline at the sate and national level is amazing. I would encourage anyone to get involved with their local Senior Center, Active Adult Center, Adult Recreation Center, whatever it is called, and give it a try. Your life will be better for it. You will get some activity, develop some new routines on your schedule, and make new friends while sharing those activities. PS: I came in 8th place at the National Senior Games and got a certificate and an experience I will remember. Who knows, maybe I will be going to the next National Senior Games which will be in Birmingham AL in July 2017. Hope to see you there. Find your senior center. Here are some pics I took at the National Senior Games in Minnesota. 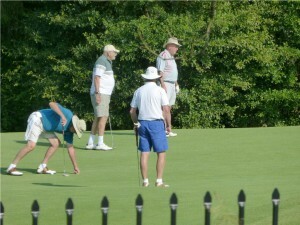 We have a 3 time national senior game gold medalist at my retirement living facility in Oregon, Prestige Care ( http://www.prestigecare.com/assisted.php?id=36 ). 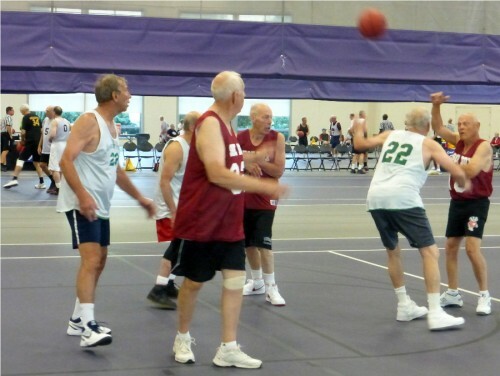 The great thing about sports for seniors is that we get to develop new relations while getting the physical activity that we need to stay healthy. I fully support these kinds of events. It can be really easy to neglect physical fitness as individuals age, but there are significant health and emotional benefits for those that remain physically active. Creating a culture that encourages physical activity can significantly help senior living facilities.